A small corporate office space in Building No. 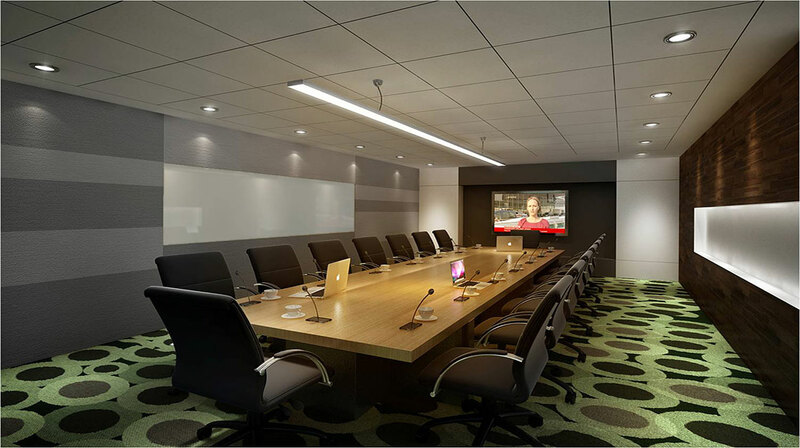 9 in DLF Cyber City, set up to mark the firm’s presence in India. 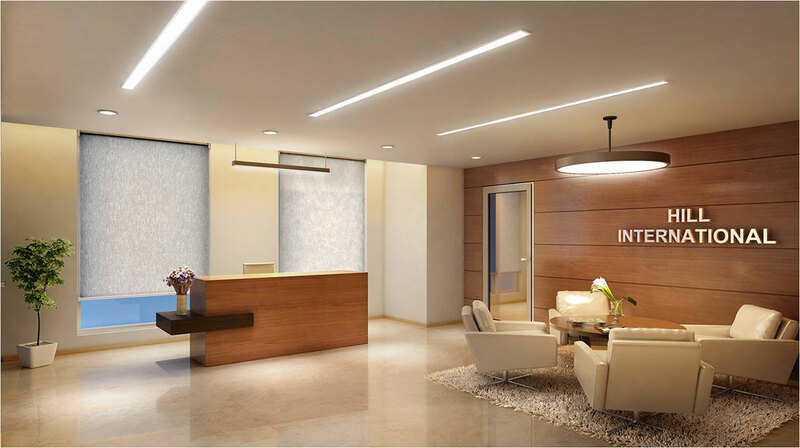 A simple, elegant Reception Lobby in line with the design guidelines for their offices worldwide, has the large high end 24 seater Board Room on one side. 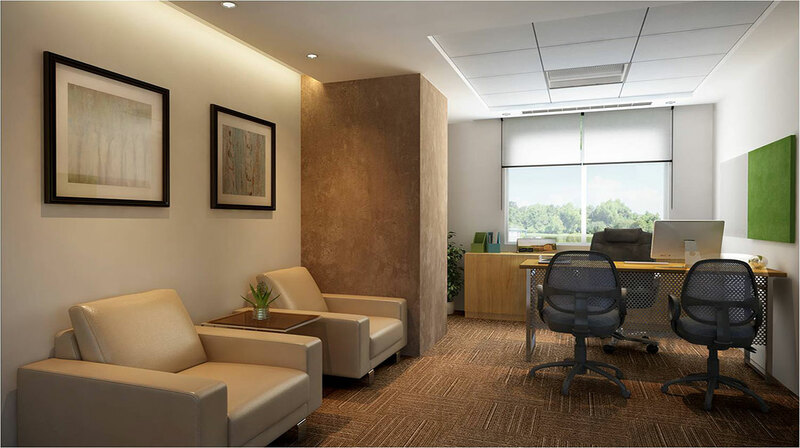 The other side of the reception area leads to the office space through a well-lit space that gives access to the washrooms and pantry area, utilized as a break-out space and transition between the reception and workspace. The workspace in itself houses a few cabins and L-shaped workstations. 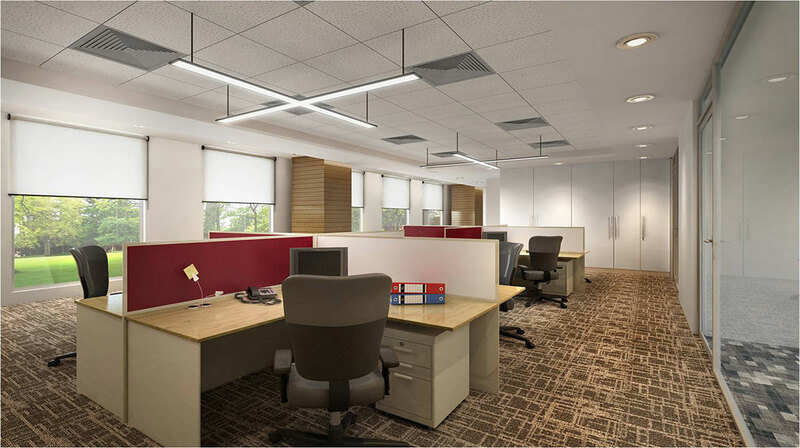 The office is designed as a functional, contemporary and aesthetic workspace.